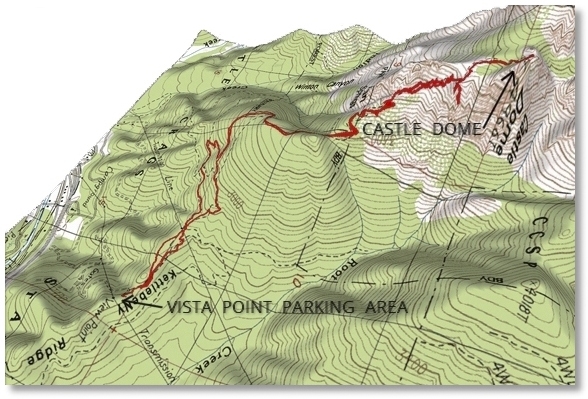 In an effort to eliminate numerous "out and back" hikes over the same trail, I've tried to combine cross-country routes with existing Park trails. 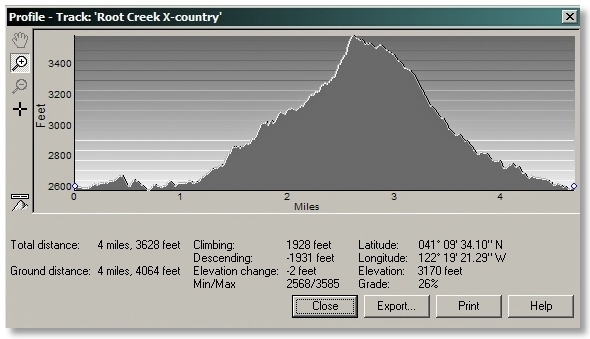 One loop [profile shown below] starts at the Soda Creek trailhead and goes cross-country up the Root Creek drainage to the point where the Root Creek Trail meets the creek, then back on the trail to the junction of the PCT, then either all the way back on it or sometimes dropping back down to the creek and following it back to the trailhead. This netted 5 miles with a side trip up to the falls overlook. 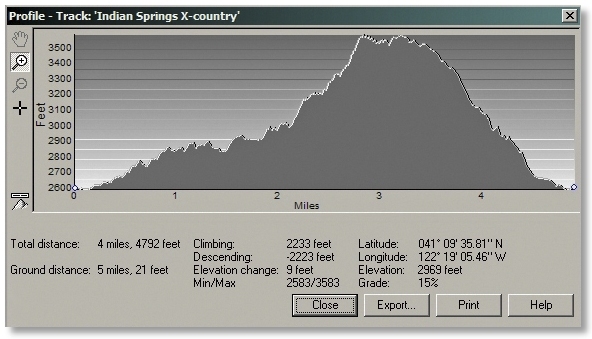 Another loop [profile shown below] is to go out the PCT from either the trailhead or the Vista Point parking area until I get to the point where Indian Springs crosses the trail, then up the hill to Indian Springs, then back down the PCT to whichever place I started from. This also was about a 5 mile hike. 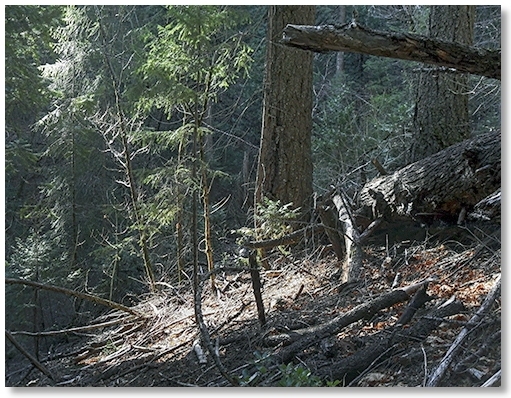 My most recent loop [profile shown below] was to go from the Vista Point parking area to the point where the Root Creek Trail meets the creek (which took about 30 minutes), then up the climber's trail to the falls only as far as the drainage with water flowing in from the left. I wanted to see if this was fed from a spring that was possibly associated with Indian Springs. 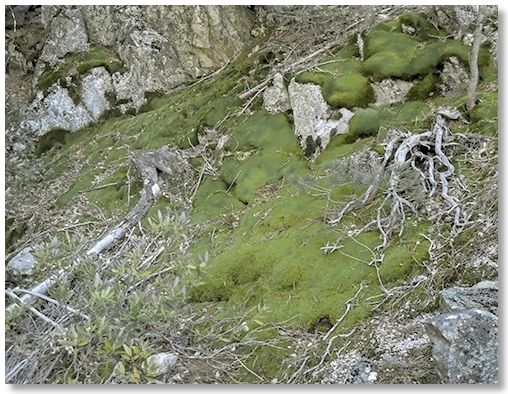 After continuing up the climber's trail for a short way, I turned and headed up hill (and I do mean up) until I found the spring at an elevation of about 3200', a few hundred feet below the elevation of Indian Springs at the trail junction. I then continued UP the hill to the PCT at the turnoff to Indian Springs (which took about 1½ hours), then down the trail to Bob's Hat Trail, down it to the PCT, and back to my car (45 minutes). This loop was just under 5 miles utilizing 4 different Park trails, but with the steep part just below reaching the PCT it felt like a lot more. 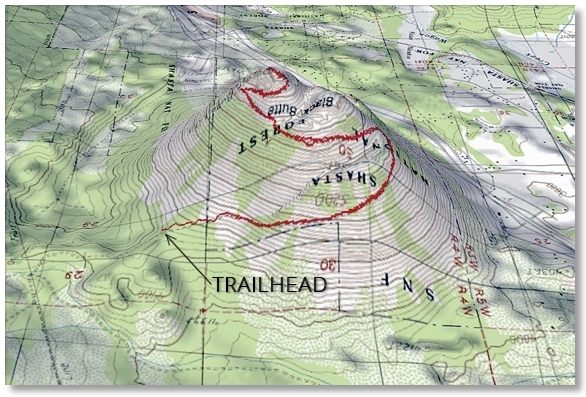 Planning these cross-country sections can be deceiving by relying on topographic features alone, because merely seeing a hillside with widely-spaced contour lines only means that it might not be as steep as other areas, and doesn't reveal that it's choked with head-high manzanita. Often times the path is chosen based upon exposure to sunlight and not any perceived lack of steepness. 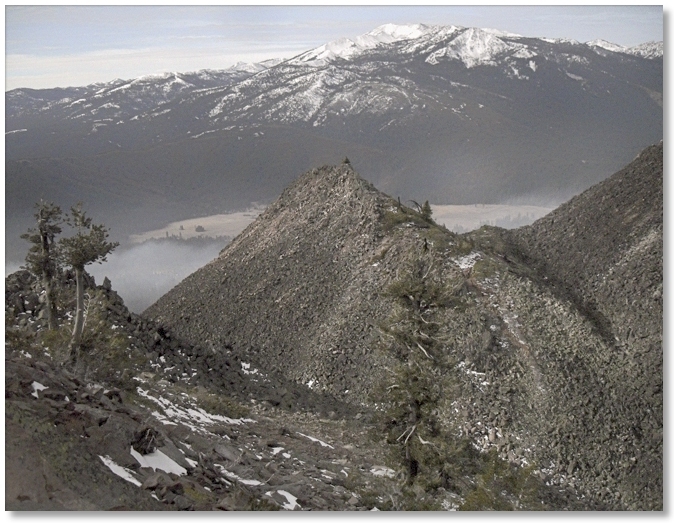 Another deviation from Castle Crags-only hikes, after hearing of an impending period of rainy weather on the way, I decided to see if my legs were up to a Black Butte hike. 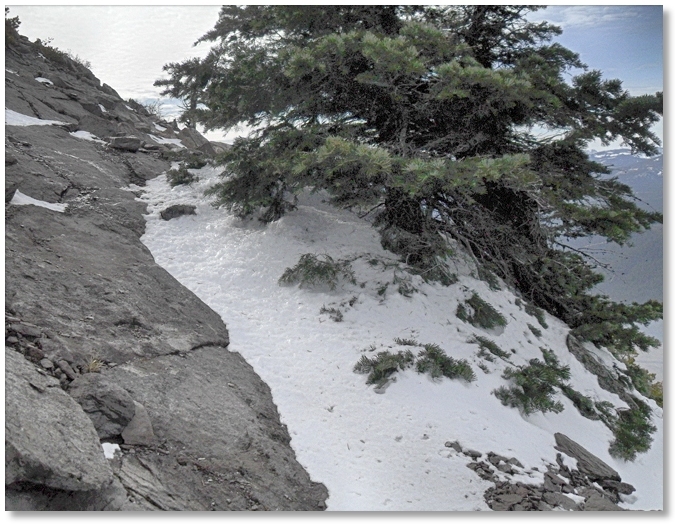 I drove up to the trailhead and set off under partly cloudy skies and soon noticed that rocks on the shaded sections of the trail were iced over, not a good sign considering the infinite number of rocks one has to step on to get to the summit. Curving around to the "freeway" side of Black Butte the ice was gone and the trail was dry until the spot where it curves back toward Mt. 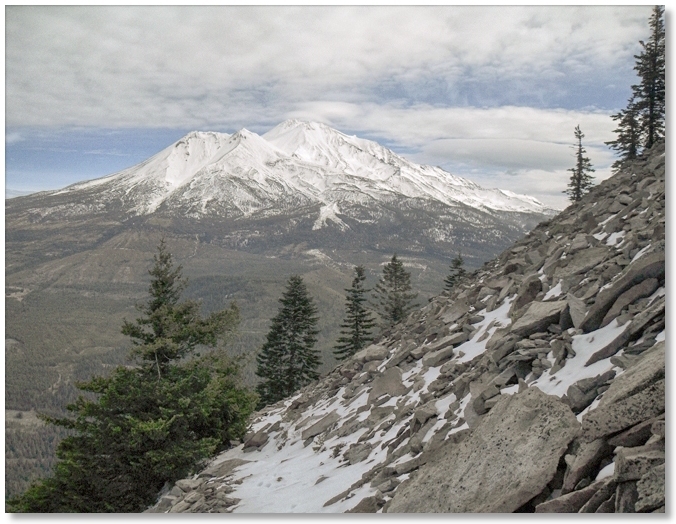 Shasta, where it turned into snow-covered rocks. On the plus side the snow was firm and it was far easier than walking on loose rocks, but farther up it got a bit slippery on steep slopes. As the trail looped around and around, one side would have no wind at all, then a few minutes later it would be windy and cold, then a few minutes later back to calm and warm, but the closer I got to the top the wind won out and the snow became hard-packed and easier to walk on. Reaching the old foundation at the top was made interesting by the gusty winds but all of the snow had blown off and the rocks were dry. The sun even came out for a while and lit up the snow on Mt. Shasta. 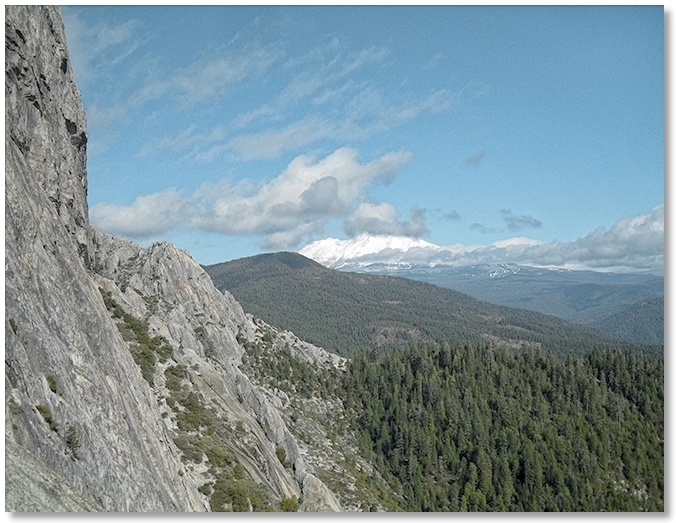 A half hour of hunkering below the rock walls, drinking juice, and taking pictures and I headed back down, with the snow-covered sections of the trail now quite a bit softer than on the way up. 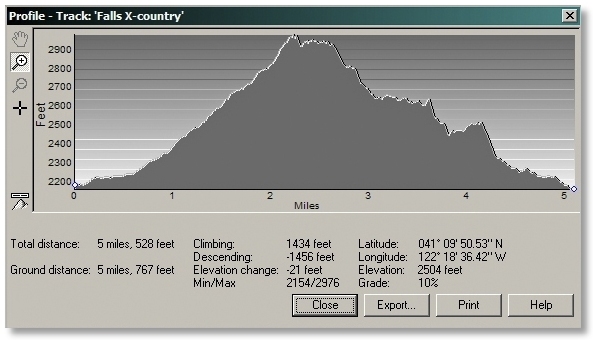 Below is a 3D map of the trail and a route profile, with a shape that would be expected from a climb like this — pretty much all uphill and all downhill, with about 5 miles total travel, although my knees seemed to think that it was a lot more by the time I got back to the trailhead. After being house-bound during a nasty few days of high wind and rain, a calm, sunny morning sent me off to the Crags for a hike. Starting at the Vista Point parking area, I headed up a very damp Crags Trail, with piles of pine needles bunched together from the runoff and lots of puddles to bypass. The rain had washed months of dirt off the rocks on the trail and I noticed a surprising number of quartz specimens that went un-noticed the last several times I'd been here. 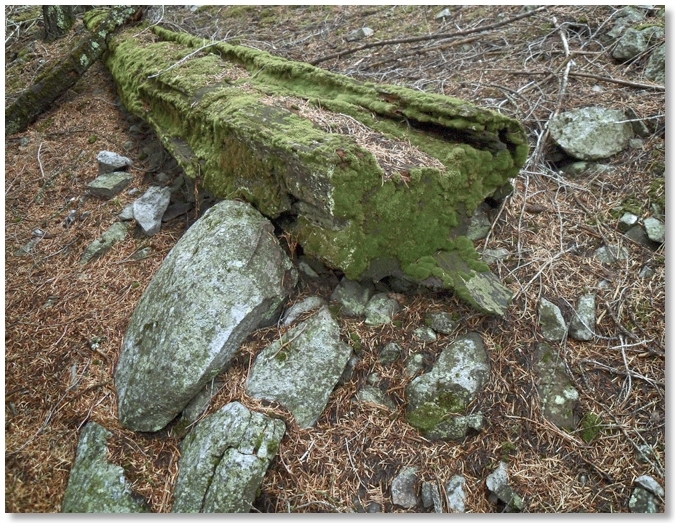 On the plus side was the fact that the pine needles, being wet, didn't behave like roller bearings on the steeper sections of the trail, as they do in dry weather. 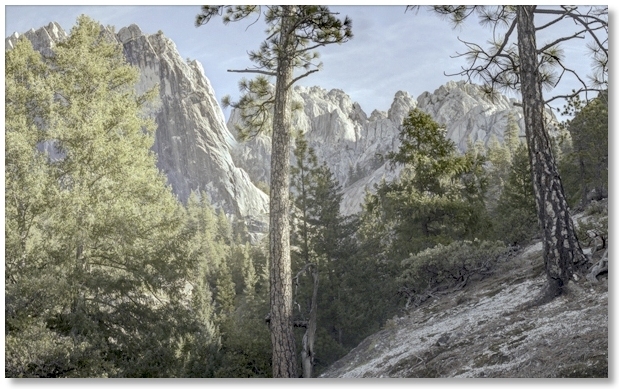 I made good time up to the Indian Springs junction [45 minutes] and stopped below the Dome to get a photo of the lone Brewer's (or weeping) Spruce, then hiked downhill a bit to look at the Root Creek falls, which were back in business after the rains. It was nice to hear the sound of running water again in the Park after a very long dry spell. 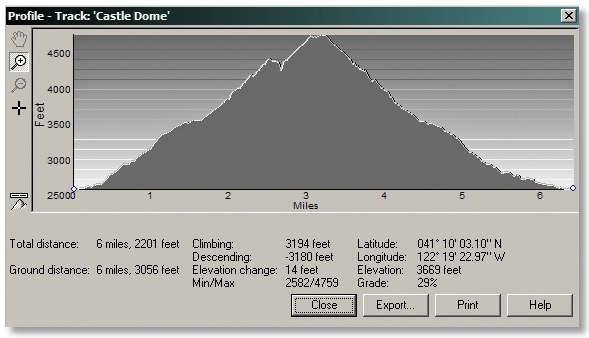 As anyone who has hiked up to the Dome knows, it's a lot of uphill going and a lot of downhill coming back, as the route profile [below] shows. 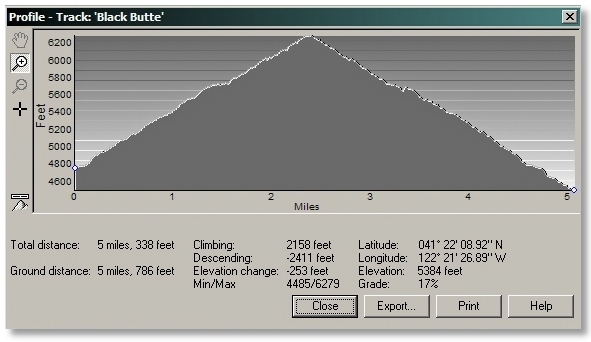 One deviation I use on the way down is to turn off on the Bob's Hat Trail and deal with the short [5 minute] steep section that leads down to the PCT, then take that trail, which is much easier on the knees, back to the parking area. It was a great day for a hike, and I wasn't the only one who took advantage of it, as I passed a dozen people and 3 or 4 dogs on the way back. About 6¾ miles round trip. This is a part of the Crags that has always interested me — how to get up to the rocks with a minimal amount of manzaneering. Fortunately, there are ways to thread one's way through the brush as long as one maintains a high degree of determination. Due to the rather short hiking time afforded by late February days, I haven't had time to do much exploring in the upper reaches, but longer days, earlier start times, and more tolerance for sore knees on the way down might pay off.